Every website owner needs to understand both the importance and meaning of SEO and what relevance it has to their blog. What is the Definition of SEO? To put it plainly SEO (Search Engine Optimisation) are rules set up by search engines (mainly Google) to optimize a websites search engine ranking. 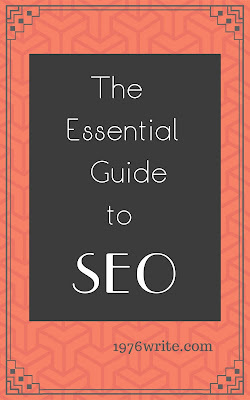 You can look at SEO as a framework because it has rules and stages along with a set of controls to follow. Millions of internet users log on everyday looking for the answer to their questions, this makes SEO more important than ever in today's competitive market. Most people will click on the top 5 suggestions in the results pages. Good SEO practises help to improve the experience of the internet user. SEO is good for promotion of your blog on social network sites. People are likely to promote your published article on Facebook, Twitter, Google+ and any other social media channel. You can jump ahead of your competition with the right kind of SEO. As complicated as all of this sounds it can be put in the simplest terms of Search Engine Optimization is a way to improve your website so that it will appear in the top results in Google, Yahoo, Bing etc. Complex algorithms are used when you perform a search. There are a number of factors used when deciding which web page should be shown in the results. Using SEO rules to make your website user friendly. Promoting your blog or website to make it rank better. Incorporate, high quality, productive, invaluable and unique information. Focus on what your readers want and give it to them. Longer articles rank higher so use a natural tone and phrasing to your blog posts. Make all of your blog posts concise and to the point. The top third of your web page will be scanned by search engines so ensure it's content rich. Add content a little at a time rather than a lot. Don't leave it too long between publishing your next blog post, search engines will mark your website as "stale". Making the most of images and video is an effective way to increase engagement to your website. Break-up articles with engaging images to hold your readers attention. Incorporate social media on your website. Visitors prefer content shared in their own social media circle. The greater your following the higher your content will appear in the search results. Make it accessible to both your followers and visitors to share your content with their followers and friends. Search engines love navigational links, they form a path for visitors and search engines to follow from page to page. Make sure you have at least one link that relates to another blog post. Make your site navigation natural, create an environment that's easy for people to find the information they're looking for. Search engines rank engagement and what visitors do while they're on a website. Make clear distinctions about what topics you cover on your website. Don't make it a random mess of pages because search engines will ignore most them. You can use tools such as Google Keyword Planner to brainstorm new keyword ideas and see the competition you'll have. This will help with your website ranking, just don't over do it. SEO should be used as a tool in your Internet Marketing armoury. It should be used alongside content strategy and social media promotion. The most important factor should always be really good content. If you're content is terrible your chances of succeeding with SEO are minimum at best. To summarise you need Search Engine Optimisation (SEO) to improve your website search ranking. With a well-formulated plan you can drive more traffic to your website and gain more readers, make more sales and fulfil your business purpose.